Do you struggle to find time to scrapbook like you used to? This easy Valentine scrapbook is the perfect project for busy moms because you can work as you have time and pack it all away when you don’t. Even better, you’ll never lose your creative place because it comes with step-by-step instructions to make it easy. This is a sponsored post written by me on behalf of Close to My Heart. I’ve used their products for years and am so excited to share them with you! All ideas and opinions are my own, as always. I first came across Close to My Heart products at a crop I attended years ago. It was seriously love at first site. They are beautiful designs and versatile products that get better and better every year. 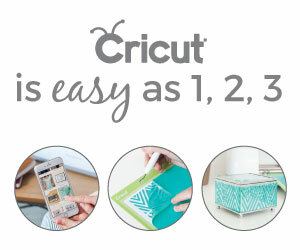 I own tons of their stamps and their Cricut cartridges but I had never tried one of their scrapbook kits until now. Oh my gosh! They are awesome and so easy to use. They even give you the page sleeves! 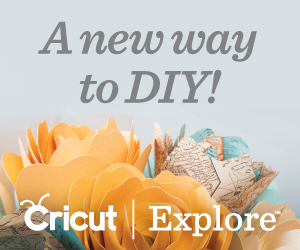 These are the perfect kits for busy moms who can only squeeze in scrapbooking here and there. (Although you should totally ready How to Get Your Free Time Back as a SAHM.) Because you are following step-by-step instructions, you can easily come back to the project later and not forget what you were designing. Before we get to the tutorial, I want you to know that this one is a little different than normal. Your kit actually comes with step-by-step instructions. Instead of writing out all of these steps, I’m going to give you an abridged version with my tips and tricks to make it easier. Some of the instructions are a little unclear and some I felt were in the wrong order. The instructions will absolutely work to get your beautiful scrapbook made. That’s totally one of the perks of Close to My Heart products. They have so many products that make your life easier and these kits are no exception. The very first step is to open your kit and get everything organized. Then you want to get all of your elements cut out. This can be quite tedious but it is absolutely worth it to get everything done ahead of time. This took about an hour to finish so plan accordingly. I recommend labeling these pieces as you get them cut out because the instructions reference them when telling you where to place on the pages. Once you have all of your elements ready, you also want to cut out the papers as instructed. You can also label these for easier reference later. Next, make your first page of your Valentine scrapbook. Again, because the kit comes with instructions, I’m not including the step-by-step for each page. However, you can see a photo of each step of page creation above the steps for every page except the first. Then make your second page. Continue and make the third page. Next make the fourth page of your Valentine scrapbook. Lastly, make the 5th and 6th pages of your Valentine scrapbook. Once all of your pages are complete, slip them into an album or the page inserts that come with your kit. My kit came with side loading inserts and I have to say, they may be my new favorite thing! The embellishments and pages are all kept safe from accidentally falling out of the inserts which is awesome! The instructions tell you to put on Shimmer Trim after adding embellishments… while you can do this, if you’re trying to make it look like the pictures, put it on a step or 2 earlier. One really cool element that I LOVE is that the sequins come with adhesive on them! This is so convenient. As I said above, one downfall is that is a lot of cutting upfront. Don’t skip this step, though. It makes the entire assembly so much easier when each element is ready to go before starting. After you’ve finished your easy Valentine scrapbook, there are still plenty of materials leftover to make some gorgeous cards. This is perfect if you’re plan to give the scrapbook as a gift. This easy Valentine scrapbook is the perfect way for busy moms to enjoy making beautiful pages and they make a great gift too! Be sure to visit my friend Heather’s Close to My Heart website to order your kit today! Be sure to check out all of the other awesome kits while you’re there too. They’re all totally beautiful and easy to make.